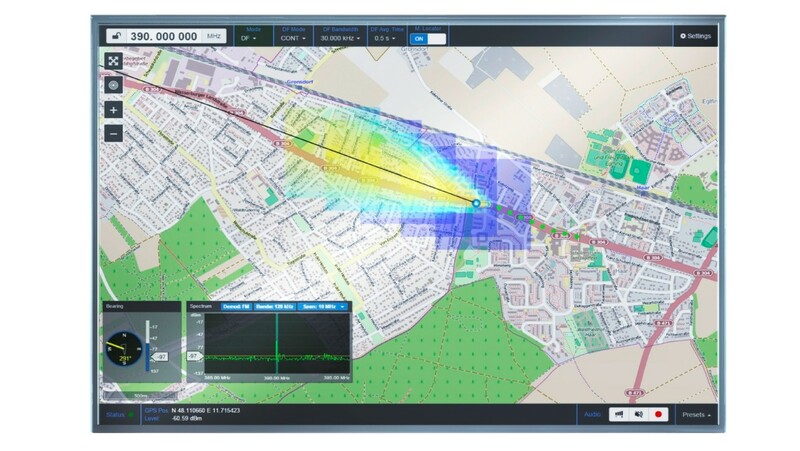 The R&S®MobileLocator probability cloud guides operators towards the emitter source. The Argentinian regulatory authority has purchased and now operates eight R&S®DDF007 portable monitoring and direction finding systems with R&S®MobileLocator. The systems reliably detect and geolocate emitters. They are operated mainly onboard vehicles and allow easy homing in on interferers and unlicensed transmitters. R&S®MobileLocator is a software module that guides operators continuously towards the source of the emission. 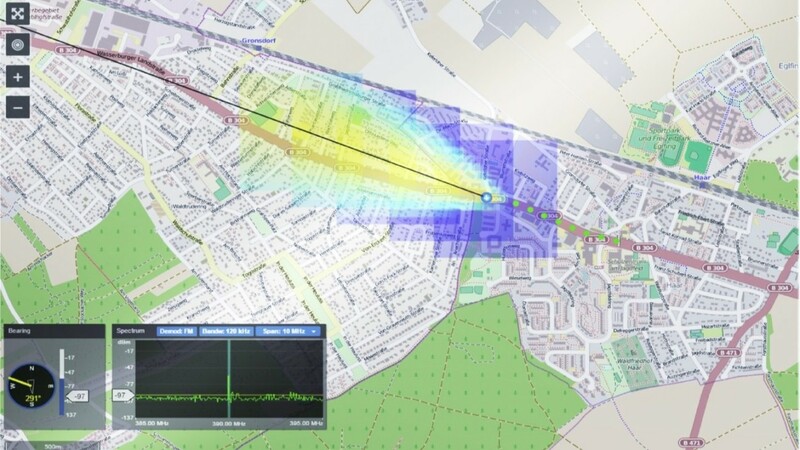 It proves its capabilities even in challenging environments, such as urban areas where reflections and multipath propagation are common. The Argentinian regulatory authority ENACOM (Ente Nacional de Comunicaciones, formerly CNC – Comisión Nacional de Comunicaciones) operates eight R&S®MobileLocator systems. These systems consist of the R&S®DDF007 portable direction finder and R&S®ADD107 compact VHF/UHF DF antennas as well as notebooks for controlling the systems. Onboard a vehicle on the move, the R&S®MobileLocator software efficiently geolocates emitters in difficult environments. It overcomes misleading bearings caused by signal reflections and multipath propagation. The system compensates for these effects while it continuously takes bearings, analyzes them and applies statistical algorithms for geolocating emitters. A probability cloud is displayed on a digital map on the notebook to guide the vehicle towards the emitter. The system reliably shows the location. R&S®MobileLocator effectively prevents operators from following misleading bearings and helps them quickly find emitter sources, saving valuable time and resources. Users operate the R&S®MobileLocator from a notebook. The direction finding antenna can be mounted with the R&S®ADD17XZ3 vehicle adapter with magnet mount on any vehicle roof. Its integrated electronic compass and GPS module supply the system with accurate position and heading data. The simple connection to the vehicle’s electrical power supply facilitates fast mounting on any platform. The systems feature great functionality and flexibility. In addition to geolocating emitters with the R&S®MobileLocator, the R&S®DDF007 can also take single bearings. This is also possible when the systems are removed from the vehicles and operate in a semi-stationary setup. Other key functions include searching for signals, visualization of the radio spectrum and listening in on audio signals. The systems work in a wide frequency range from 20 MHz to 1.3 GHz. With an additional R&S®ADD207 compact UHF/SHF DF antenna, the direction finding capabilities would be extended up to 6 GHz. For final localization of emitters, and where vehicles have no access, operators can use the R&S®DDF007 in receive mode with the R&S®HE300 handheld directional antennas for monitoring tasks and manual direction finding even up to 7.5 GHz. An R&S®HF907 SHF directional antenna with downconverter would extend the frequency range of the systems up to 18 GHz.